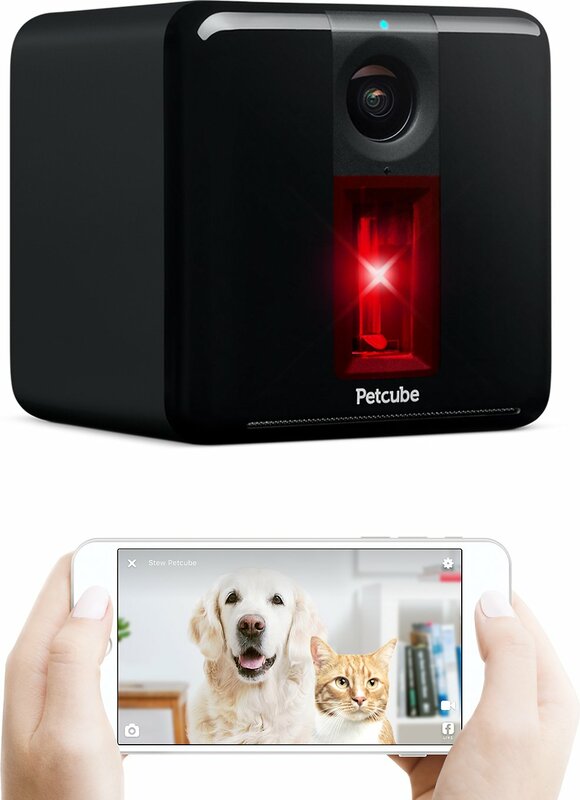 You and your pet won't ever be truly apart with the Petcube Play Wi-Fi Pet Camera. 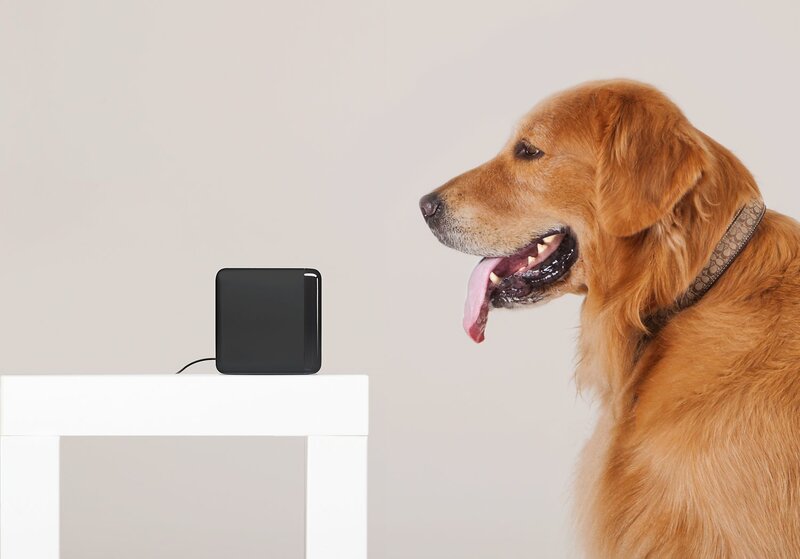 This interactive camera connects to your smartphone and puts you in touch with your furry best friend at all times. 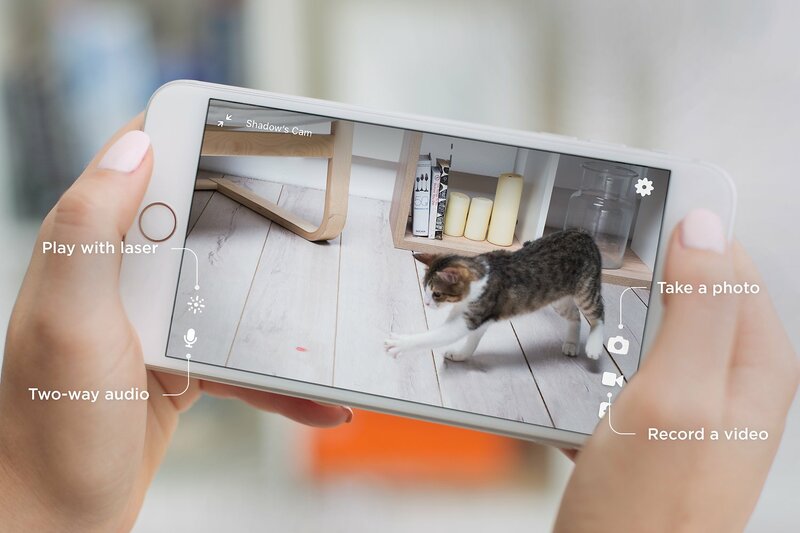 The real-time video allows you to see every pounce or bark right as it happens, while the two-way audio lets you tell your pet you miss him and hear his response. There’s even a built-in laser that you can play live or schedule for auto play, which helps relieve boredom when you aren’t around. While the humans are at work, your furbabies can play! Place it on any flat surface or mount it on a tripod, and it easily connects to the internet so you can start streaming in minutes. Interactive Wi-Fi camera allows you to interact with your pet through your Android or iOS smartphone when away from home. 1080p HD video steam with night vision and 3x zoom allows you to watch your pets in real time; 2-way audio lets your hear and talk. Built-in laser allows you to play with your pet by swiping the screen, or schedule an auto-play game. Sound and motion alerts notify you of major events; includes a 7-day trial of Petcube Care cloud video recording services to review and rewind 10 or 30 days of video history. Beautifully designed with brushed aluminum and curved corners with a non-slip bottom and chew-proof cord. To use your Petcube Play pet camera, you'll need a strong Wi-Fi connection. The product does not include a tripod or mounting base; simply place on a flat surface or use a tripod you have handy. LED doesn’t light up. If the LED light on your Petcube Play camera is off while the camera is plugged in, try unplugging it and plugging it back in. Make sure that you are using the enclosed adapter with your Petcube and that the power cord is undamaged. LED light doesn’t turn pulsing green. When you plug in your Petcube before starting the registration process, it should glow solid yellow for a minute (although it may look light green). Wait up to 1 minute until it starts pulsing green. If the light remains solid yellow, contact our support team. The LED is pulsing yellow and doesn’t turn white after setup. This problem can occur if you have entered an incorrect password for your home Wi-Fi network during registration. To change it, open the ‘Settings’ menu in the Petcube App, scroll down to ‘Wi-Fi,’ and follow the instructions to setup the connection again. Use a pin to press and hold the button on the bottom of our device until the light turns green. If the LED still doesn’t turn white, contact our technical support team in order to determine if your Petcube Camera needs to be updated. I don’t see my home Wi-Fi network. This problem can occur if you are trying to connect your Petcube to either a 5GHz frequency range network or a hidden network. Unfortunately, Petcube doesn’t work with 5GHz networks, but since most routers support both 5GHz and 2.4GHz frequencies, you should be able to change it to 2.4GHz mode. If you have a hidden network, on the last registration step you will be prompted to enter your network SSID and password manually. MAC address filtering. If your router uses MAC filtering, you need to temporarily disable it to find the MAC address of your own Petcube. This can be viewed in the list of connected devices in your router settings. Once you have its MAC address, you can safely add your Petcube as an exception and turn filtering back on. You can also contact our support team to get help finding the MAC address of your Petcube. Laser is not precise. Since the initial position of the laser may be changed during transportation, the accuracy may be affected. To remedy this, we recommend using the laser calibration feature in the Petcube App. To access it, open the Petcube App on your device, go to 'Settings', select 'Calibration' and then follow the steps on the screen. No Wi-Fi network shows up during setup. If you have an empty list of available Wi-Fi networks in the Petcube App when you need to select your home Wi-Fi net, contact us at support@petcube.com to determine if your Petcube needs to be updated. Make sure that the LED light on the front of your Petcube is steady white. If the LED light on the front of your Petcube isn’t steady white, see ‘LED light notifications’ to determine the issue. If your network is secured with a firewall or proxy, please make sure it isn’t blocking the Petcube. Unplug and plug your Petcube back in to reboot it. No sound comes out of my Petcube. Please open the ‘Settings’ menu on your phone, then go to ‘Privacy’ and then ‘Microphone,’ and make sure you have allowed the Petcube App to use your phone’s mic. Petcube goes offline / turns off. This issue may appear if you’re using a less powerful A/C adapter. Please make sure to use only 5V / 2A power adapters. If you’re using the original adapter, but the problem persists, contact our support team to determine the problem. Power up your Petcube device and wait at least 2 minutes for the camera to boot. Keep in mind that the light on the camera may not start blinking. If you have Petcube Play or Petcube Bites camera, find a reset pin that came with your device, find a reset button which is located in the small hole on the bottom of your Petcube Play camera or below the USB port on the left side of the Petcube Bites camera, insert the reset pin into it, hold it down for 3 seconds and release it even though the light on the device won’t change its status (it will not start blinking or change the color). If you have a first generation Petcube Camera, simply hold down the start button on the back of your device for 3 seconds and release it even though the light on the camera won't change the status. Follow the setup steps in the Petcube app and see if it works. If you are using an Android device and you get a screen saying 'Almost done', you will need to follow the steps again, meaning, you will need to hold down the Start button on the back for 3 seconds again and the light on the camera may still remain a solid color. How does Petcube Care work? Whenever motion or sound is detected by the Petcube Play, Petcube Care will automatically start recording a video, which will be available for playback later from the Petcube App. Camera owners will also get a push notification once recording stops. User interactions will be recorded too and will have an orange ‘play’ icon (triangle). How to activate Petcube Care To start using Petcube Care, you need to have a Petcube Play camera and a Petcube Care subscription. For all new Petcube owners, Petcube offers a free 30-day trial of 10 days of recording history. 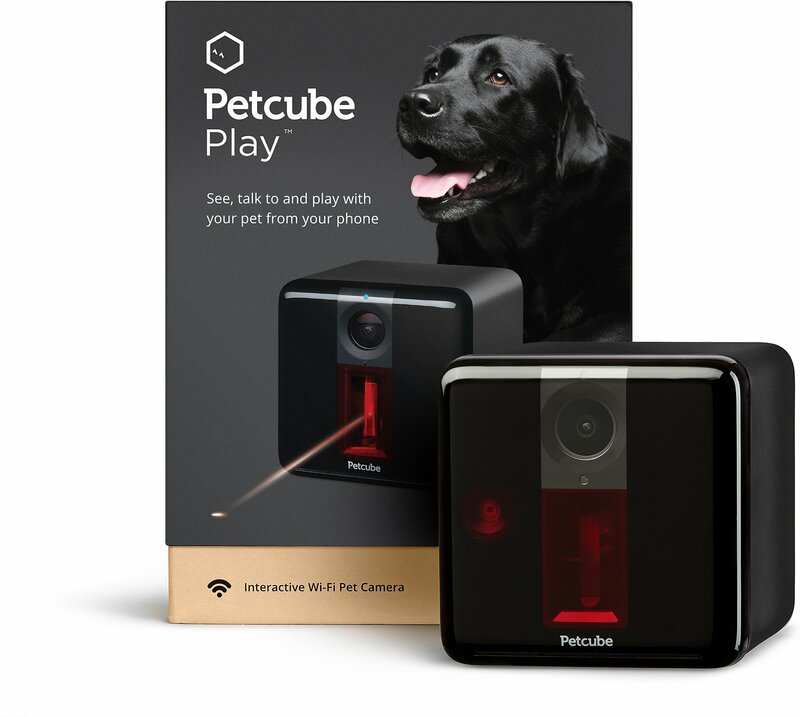 To subscribe, you can go to https://petcube.com/, sign in with your Petcube account or go to the Petcube Care product page and select the most suitable subscription option for you. You will also be able to subscribe from the Petcube App by going to Petcube Care on the ‘Home’ tab if you’re using an iOS device, or on the left hand side if you’re using an Android device. If you are not a Petcube Play owner yet but wish to buy one, you will also be able to subscribe for Petcube Care when you make your purchase. Petcube Care modes explained There are three modes in Petcube Care: Awake, Quiet and Sleep. Use Awake mode when you are not around and want Petcube Care to be active. You will get noise & motion notifications. These moments will be stored on your timeline. Use Quiet mode when you do not want to be disturbed. Moments will be stored on your timeline if triggered by motion or sound, but you will not receive notifications. Sleep mode disables Petcube Care. It will not detect and record events. Nothing will be added to your timeline. 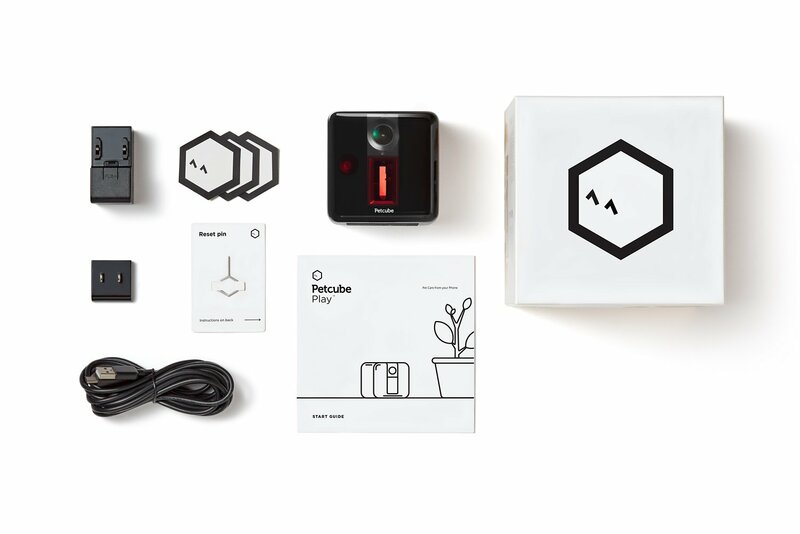 Keep in mind that your Petcube Play needs to be online to record the videos. How to view video history in Petcube Care Depending on your subscription, you will be able to view the video history for the past 10 or 30 days. To access video history, open the Petcube App on your phone, go to the ‘Home’ tab if you’re using an iOS device and select the ‘Care’ icon or open the menu on the left hand side if you’re using an Android device and you will see the list of available video recordings. The newest video clips will appear at the top, to view earlier videos - scroll down. To switch between the dates, use the ‘<‘ and ‘>’ icons located in the center. How to save a video recording to your phone’s internal storage. While you will be able to view video history for the past 10 or 30 days depending on your subscription plan from the cloud via Petcube Care, you will always be able to store video recordings to your phone’s internal storage. Just pick the necessary video clip, press the three dots ’…’ located on the left hand side of the video and select ’Save’. Video recording length. Currently, video recording length can be no longer than 30 secs. So, for instance, if there's a motion that lasts for 2 minutes 15 seconds, the app will cut it into 5 scenes. Sound in Petcube Care. At the moment, sound recording is only available on recordings that were triggered by motion or sound detection and is unavailable on camera play sessions. Petcube Care history sharing. Currently, no one except the camera owner can access video history, but we are thinking of making a separate sharing option exclusively for Petcube Care video history available in the future. I love this! I absolutely love being able to see my Bela when I’m away, to see if she’s secure and comfortable. It also gives me the added protection of an extra touch of security. We have outdoor cameras and this allows an added layer of security indoors. It also records short videos that saves to the cloud if you buy the extra subscription, which I did. I believe it’s definitely worth the money. Anything for my baby!! This is an amazing product!! So far I love this camera!! It is soooo easy to use and set up. The picture is clear and it gets my entire apartment view as if you were sitting there with them. Laser works great although a little hard to move with my fat fingers but I give this 5 stars! Petcube has been such an amazing purchase! The quality of the camera is amazing and I love that you can rewind using the app features and see a snapshot of your dogs activity during the day. My favorite thing so far has been to check in on my dog Jackson during the lunch breaks, it is so exciting every time to see what he is up to! I am so happy I got petcube! I tried two other cameras and returned them before I got this one. The instructions were difficult to understand, the pictures were not clear, etc. This camera was a breeze to set up and works very well. This one is a winner! I was so excited for this camera! During the free trial, the camera was beautiful and I truly love the noise/movement detection. The laser & microphone features are pretty cool. HOWEVER: Now that the trial is over, my camera does not focus and it's always blurry. Not sure if it's just a coincidence but I have a hard time with this camera because it's so blurry.